Data Entry, Typing, Copy typing, other typing based services Up to 250 Words Only for $1. Before order the service, please send me a message about your tasks. 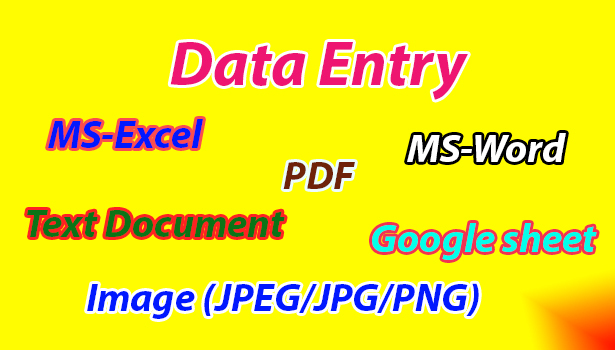 Data Entry, Copy Paste, Typing, MS Excel, MS Word, Text Document, Google sheet Etc is ranked 5 out of 5. Based on 4 user reviews.